The $59 New Student Invitation is how adult students with no experience start at Tenzan Aikido. The $59 special includes a private lesson where a black belt instructor will introduce you to the basics. The deal includes a group class that you may make an appointment to attend after you finish your private lesson. In the group class, you will be tutored by a blackbelt. By the end of the class, you will know an aikido technique or two, you will have had a great workout and you will feel your confidence building. All this for $59! Call 206-525-4032 to schedule your private lesson. Aikido for Beginners is an on-going, introductory class for men and women. In this class you will receive step-by-step instruction on the three fundamental techniques that will serve as a portal into the entire art. The warm-up will help to increase flexibility and core strength. Next comes aikido technique practice where you will be shown the basics at an easy pace. Each class ends with 5 minutes of basic meditation practice. People come away from this class with a great workout, connection to core strength and a more focused mind. Do you love Aikido but find that regular training has become too intense for your body? Are you rehabbing from an injury and need to practice more sensitively? This program may be just what you need. We cover all the areas of Aikido practice done traditionally, with adaptations to minimize impact and risk of injury. Improve your conditioning, timing and technical skills with LIA. Students of all levels are given an opportunity to do self-directed practice under the guidance of an instructor. Members may practice anything they want and questions will be answered by the instructor. The advanced class is a challenging workout using rigorous training to forge body, mind, and spirit. 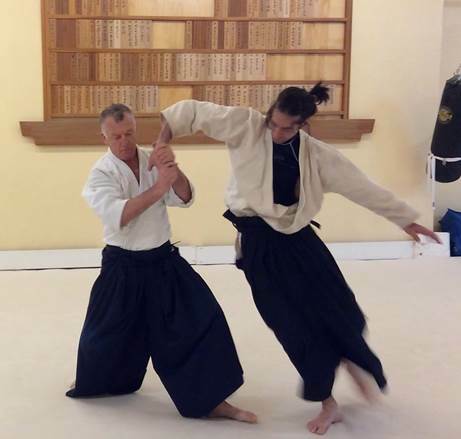 Students are exposed to a vast array of techniques and training modalities, including boken (sword) and jo (staff ) practice. 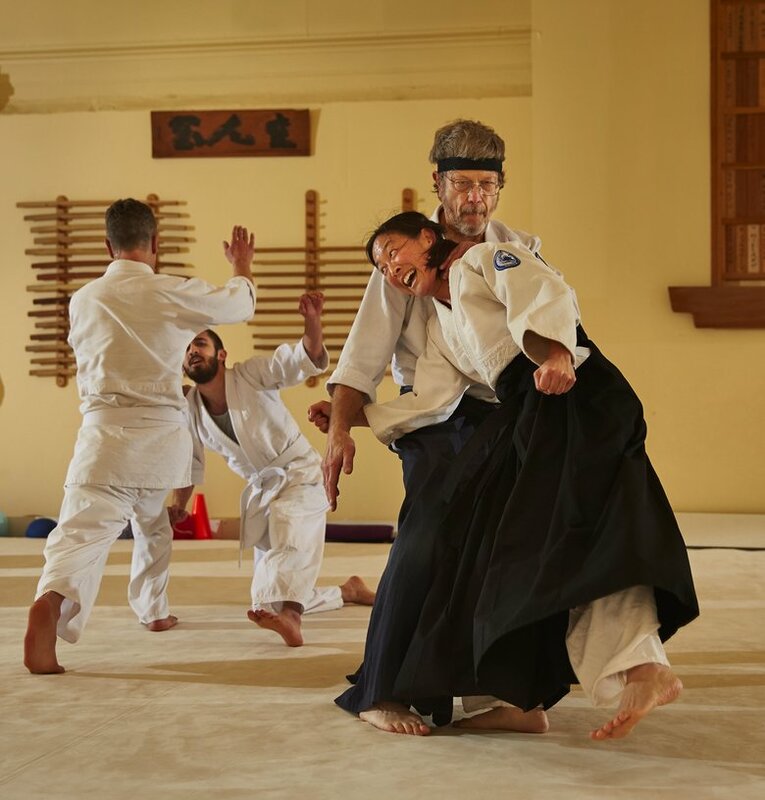 The sensitive yet intense nature of this class helps practitioners develop high level skills and a deeper understanding of the nature of aikido. Prerequisite - 4th Kyu and/or permission from Bookman Sensei. This weekly class offers students basic training in bokken (wooden sword) and jo (staff ). 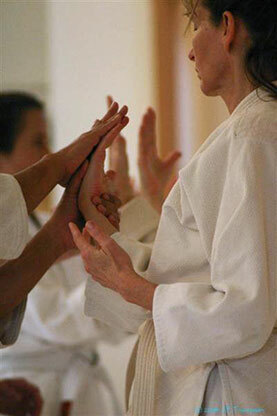 Techniques taught correlate to aikido hand-to-hand techniques and help practitioners project their energy. Brazilian jiu-jitsu (BJJ) is a style of grappling that offers very effective self-defense skills and develops the practitioner’s fluidity and athleticism. Bookman Sensei is a black belt BJJ professor with over 20 years experience. He is excited about offering this practice at Tenzan Aikido. The emphasis of these classes is on each person getting a solid foundation in BJJ rather than preparing for competition. Bookman Sensei brings his years of experience teaching aikido to the way he teaches BJJ. The class is conducted in a lighthearted, informal environment where everyone can learn at their own pace regardless of experience level. It's great supplemental training for aikido.